P-Square – Possibility ft. 2face (2baba) MP3 Download. 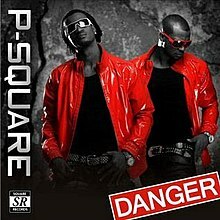 Here is a song titled “Possibility” featuring 2face aka 2baba, off P-Square Album titled Danger and it is their fourth studio album. The album produced five singles – “I Love You”, “Possibility”, ” E No Easy”, “Danger” and “Gimme Dat”. It features guest appearances from 2 Face Idibia and J.Martins.